Interestingly, when a divorced parent wanted to relocate outside of New Jersey (referred to as “removal” in Court), and the other parent did not consent, the previous standards used to favor the parent seeking to move. Without going into great detail about the factors that a Court would use to determine if the removal of the child would be allowed, the NJ Supreme Court just overturned the previous standard in favor of an analysis of the best interests of the child. Previously, if a custodial parent wanted to move, that parent would have to show “cause” for the proposed move by showing “a real advantage to that parent” by moving as well as showing that the sought-after move would not be “inimical to the best interests of the child”. (Cooper v. Cooper, 99 N.J. 42 (1984). In the subsequent Holder v. Polanski, 111 N.J. 344 (1988) case, the parent requesting the removal who had primary residential custody of the child, simply needed to show “a good faith reason” and that the move would not be “inimical” to the best interests of the child. Subsequently with parents who shared custody, that application for removal would be treated as a matter of changed circumstances with a request for a custody change, based on a best interests analysis. (Baures v. Lewis, 167 N.J. 91 (2001)). All that was needed under Baures for a successful application, was for the parent to have primary residential custody, show a good faith reason for the move, present a parenting plan for the child to continue to see the noncustodial parent, and show that the move would not be inimical to the child’s best interests. There, the belief was that a happy parent would benefit the child as well. The N.J. Supreme Court just reversed itself with the new case, Bisbing v. Bisbing which was decided on August 8, 2017 (A-2 077533). Under previous NJ Law, it used to matter who was designated Primary Parent of Residence (PPR) because the Court would be inclined to allow the move if requested by the PPR, if a showing of good faith was made and the move was not “inimical” to the best interest of the child (given an adequate parenting plan, usually involving a few weeks in the Summer plus holidays, etc.). Now under the new decision, it does not seem to matter who is residential custodial parent (PPR) or who is the Parent of Alternate Residence (PAR) as long as the PAR has some reasonable involvement in the child’s life and there is joint legal custody. That includes the usual PAR schedule of alternating weekends and a mid-week dinner time and alternating holidays. It does seem to matter, however, if one parent has sole legal custody and a court will have to analyze the circumstances underlying that arrangement and see what is in the child’s best interests. For example, it is possible (although much less frequently found) that a parent having no legal custody at all, still has parenting time, is very involved in the child’s life, etc. Then the court would have make an individual determination in that rare and unlikely fact pattern. Now that the Supreme Court of New Jersey changed course, there are many new factors to consider. What is “best interests of the child” and how is it measured? Is it quantifiable and scientifically derived from some accepted methodology? Actually, “best interests” is a court determination. Otherwise it may be an opinion of a forensic evaluator which can be disputed by the opinion of another forensic evaluator. Ultimately the Judge must decide if the move is in the child’s best interests or not. The benefit to the parent seeking to move is no longer a factor. New Jersey Statute (N.J.S.A. 9:2-4) lists a number of factors that a judge must consider in determining best interests and custody. These include, but are not limited to: The parents’ ability to agree, communicate and cooperate, any history of withholding or obstructing parenting time from the other (not due to abuse), safety of the child, the child’s preferences “when of sufficient age and capacity to reason so as to form an intelligent decision”, the degree of cooperation in co-parenting, history of domestic violence, the distance the parents live from each other now, the number and age of siblings, the interaction and relationship of the child with the parents and siblings, stability of the home environment, quality of parenting time spent with the child after separation, parent’s employment responsibilities, and any other factor deemed appropriate by the Judge. No longer is equal shared parenting time required to have a quality relationship between parent and child—even for the parent of alternate residence. To conduct a best interests analysis, a forensic evaluator (could be for example, a Psychologist, Social Worker or Psychiatrist) would need to evaluate the child(ren) in question, both parents, relevant extended family members (e.g. grandparents, siblings, etc. ), and collateral contacts. What are collateral contacts (also known as collaterals)? They are usually people who may be caregivers (e.g. babysitters, physicians, dentists), or teachers and school personnel, coaches, dance/gymnastics instructors, etc. Usually each parent will submit their own list of whom they think will be important for the evaluator to interview. These interviews may be in person or on the phone. In some cases, the evaluator may do a classroom observation or a home inspection. At times, when one parent makes an allegation about the other, the evaluator may go back to the other parent and discuss it to hear their side of the story. The gathering of all of the information should be thorough, fair and balanced for objectivity. Usually, there are two sides of the story. Sometimes, however, there is an imbalance that is created by information provided by a parent or information derived from the child(ren) or others. A best interests evaluation can be via a court-appointed expert, a joint expert (agreed-upon by both parties), or two privately-retained experts, or a combination of the above. Do not lie, embellish, make up fictional allegations, purposely omit important facts. It is better to focus on your relationship with the child, your concerns for your child’s health, education and general welfare, the bond you have with the child, any special circumstances that may steer the court in a certain direction. Regardless of whether you are the parent seeking to relocate, or the parent who objects to the relocation, it is not helpful to your case to demonize the other parent. Unless there is a documented history of domestic violence, child abuse, or substance abuse, or some factual history that is noteworthy for its importance and relevance to the “best interest of the child”, it is probably not going to help you to sling mud and insults at the other parent. It may have the opposite effect on the perceptions of the evaluator, especially when your child actually has a relationship with that parent. I have written previously in this Blog that angry emotions stemming from feelings of abandonment and rejection (among other issues), often fuel Family Court litigation. It also sometimes fuels vengeful feelings against the other parent. Making up fictional allegations, minimizing (to the evaluator) the other parent’s involvement in the child’s life, exaggerating innocuous incidents (as if they really mean something significant against the other parent), and generally letting your anger spill over into the interviews—will all work against you. It will make you look like a malicious, vindictive person who is not operating in good faith, but who just wants to destroy the other parent or to marginalize their involvement in the child’s life. In other words, you can destroy your own credibility with the evaluator (and with the Judge) by not being completely honest and forthright, and by being unfair to the child and to the child’s other parent. Let’s say that you really want to move out of the State and maybe you have a great reason to do so (employment opportunity, marriage, etc. ), that is formulated in good faith, and is not stemming from your hatred of the other parent. Under the new Bisbing ruling, that might not be good enough. Even being PPR and having spent more time than the other parent with this child may not be good enough. Under N.J.S.A. 9:2-2, if a parent wants to relocate with the child against the wishes of the other parent, that child may not be removed from the State “unless the court upon cause shown, shall otherwise order”. (Emphasis added). “Cause”, as now defined by Bisbing is determined by a best interests analysis with the court considering all of the relevant factors enumerated in N.J.S.A. 9:2-4(c). See above for examples. It is fairly clear that in most cases, a parent seeking relocation against the wishes of the other parent will have to go to trial after this evaluation (or evaluations) are completed. The expert(s) will testify on the contents of their findings, will be cross-examined and there will be testimony from the parents, relevant collateral contacts, other witnesses, and finally the Court will make its determination. For couples going through divorce, and who anticipate that they may make a relocation request in the future, they may now be motivated to attempt to get sole (legal) custody of their child(ren) to make it easier for themselves later (because it is easier to get court approval to move if you have sole custody). Unfortunately, that will result in many more divorce trials if parents battle for sole legal custody then, rather than to have a legal disadvantage (if they are planning to relocate) later on. But, the presumption in New Jersey, as stated by the Legislature in N.J.S.A. 9:2-4, is that it is in the public policy of this state for parents to equally share their obligations, rights and custody of their children unless the court in custody proceedings makes another determination with the best interests of their child as the primary consideration. The bottom line message seems to be that children need both parents, even if the parents did not fare very well as spouses or partners with each other. If you have to go through an evaluation, try not to sling too much mud, because mud tends to get you dirty as well. 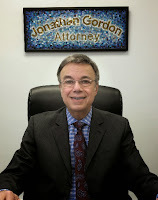 Jonathan D. Gordon, Ph.D., J.D., is a Family Law Attorney in NJ and in NY, representing Family Law clients in Superior Court of NJ . He is also a Licensed Psychologist (NJ #1358, NY #5614, OH #7540) who has performed forensic child custody evaluations and who has been appointed Guardian ad litem and Parent Coordinator by the NJ Superior Court, Family Division.